Today I have another Christmas gift inspiration post for you all and this one is aimed at women. I’ve really enjoyed putting together small, bite sized gift guides this year and rather than just select gifts to show you, I have also included some gifts that I have purchased myself for my friends and I’ve photographed them as I’ve wrapped them. With that in mind, if you’re a friend in real life, and we generally exchange gifts then please divert your eyes and click the X in the corner now. I can’t think of a girl who wouldn’t want to receive a personalised gift this Christmas. The jute bags from KPink are absolutely gorgeous. This one has pink, spotty sides with a natural hessian background. My name is on it, along with a big bow and a caricature of myself. The handles have ribbons and a keyring too. I absolutely love it and would really recommend them for Christmas gifts. You can follow KPink on Twitter here and check out their Facebook Page (and place an order) here. If you would like one of their jute bags then you’ll need to be quick as 24th November is the last chance to order for guaranteed Christmas delivery and their other items (mugs, phone cases, tote bags, etc) can be ordered up until 14th December. One thing that I have done this year is gift split. This is where you buy a gift set that can be divided up between your friends. The Nails Inc Christmas Cracker Collection (£29.50 or 2950 points from Boots) is PERECT for this. Each cracker contains a full size Nails Inc polish and a fashion quote. These are great for giving as a smaller gift to someone, for using as a table setting or for giving alongside another gift which is how I have tended to give them. If you have friends who travel a lot like I do then this gift set from Soap and Glory is ideal. I received the same one for my birthday back in September and used it all up on a weekend away (spot the empties in a forthcoming post) so when it came to buying travel friendly gift sets for my travel buddies, I knew that the Soap and Glory Getaway gift set would make the perfect present. This one is £10 from Boots and contains a mini Calm One Calm All bubble bath, Clean On Me shower gel, Hand food hand lotion and The Righteous Butter body butter which are all signature Soap and Glory products. Lush is more or less a fail safe option at Christmas and they have LOADS of different gift sets available as well as Christmas themed single products that you could wrap up individually. The gift I’ve chosen this Christmas is the Sweet Christmas gift set and it contains a Magic Wand bubble bar, Rose Jam shower gel, Candy Mountain bubble bar, Sultana of Soap, Think Pink bath bomb, Sweetie Pie shower gel, Honey Trap lip balm and a Bubble gum Lip Scrub, all for £37.95. 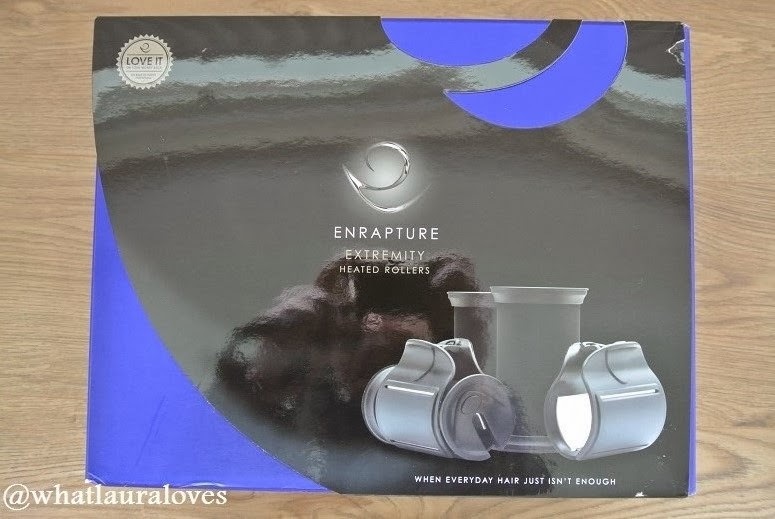 For the girl in your life who loves to do their hair then I’d really recommend the Enrapture Extremity Heated Rollers that are available from Boots, Argos and Amazon. These give gorgeous, big bouncing curls in the hair. I bought mine last January and I can’t recommend them enough. When it comes to choosing a Christmas gift for a girl, I don’t think you can go wrong with a fragrance gift set… providing it is in a scent that she likes. I’d suggest either buying a scent that you know she likes or take along a list of the perfumes she already has and the sales assistant on the counter of your chosen perfume shop should be able to match up a new scent with similar notes to the ones she already likes. The gift set that I have bought several of this year is the Juicy Couture Viva La Juicy, Couture Essentials Kit which is exclusive to Boots (£60 or 6000 points). I think this is a great little giftset that gives you much more than just a perfume. It contains the 30ml eau de parfum fragrance spray, a nail lacquer duo, a Viva la Juicy rollerball lip gloss duo, a Juicy Couture stiletto charm and a cosmetic bag. For the girl in your life who loves skincare, I would really recommend a face brush like the one from Rio Sonicleanse (buy here). It is half the price of the Clarisonic and works a treat at clearing your skin and keeping it that way. Like in my gift guide for men, I couldn’t not include a DVD in my girls gift guide. We watch a lot of films over Christmas in my family and my pick for the woman in your life has to be Safe Haven (£7.65 here). It is the movie version of the Nicholas Sparks book loved by so many. I think its one that men could enjoy too as it’s not too soppy so it’s a great one to watch together.